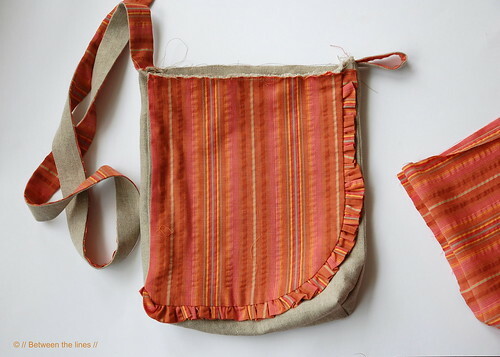 Last Friday, I mentioned there possibly was a tutorial in the works for little H.'s bag. It's been tested now over the weekend and she loves it - and so do I! 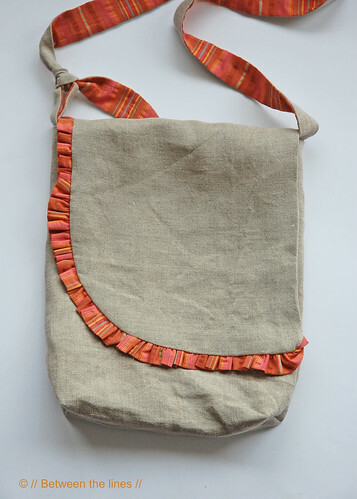 So, here's a tutorial for a fancy ruffled messenger bag! This bag sort of happened. The only requirements were it had to be a messenger bag and the strap needed to be adjustable. And it definitely needed frills of some sort as little H. is a girly girl. Hence, the ruffles. All I used was my imagination and some scissors. I didn't even bother to take out a ruler or measurement tape (well, I did - afterwards, in order to write the how-to). The rounded flap and matching strap "happened" as I went. In case you want to give it a try, here's a short description. The measurements given are approximate and include seam allowance. 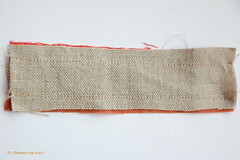 - a 5x105cm strip for the strap. 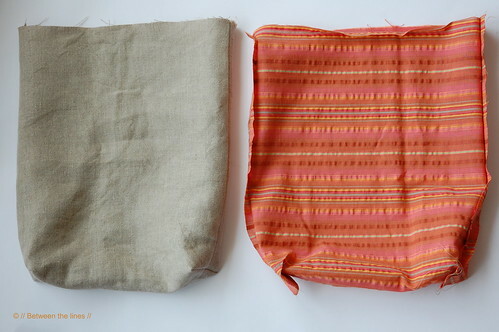 Fold the fabric in two, pin the sides, and stitch the sides closed. 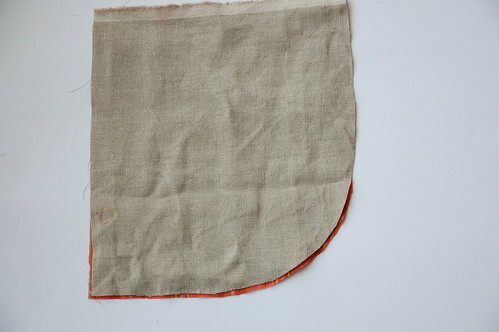 Next, in order to make the boxed corners at the bottom, fold open the corner so that the side seam matches up with the bottom fabric fold, pin and mark as shown in the picture, about 4cm from the side. Stitch on the line. Repeat with the other corner. Note: it's really important to have side seam and bottom fold coincide perfectly, in order to get perfect 90° corners. 2a. Take the flap and cut curvature going from the left hand side lower corner to the right hand side upper corner. 2b. 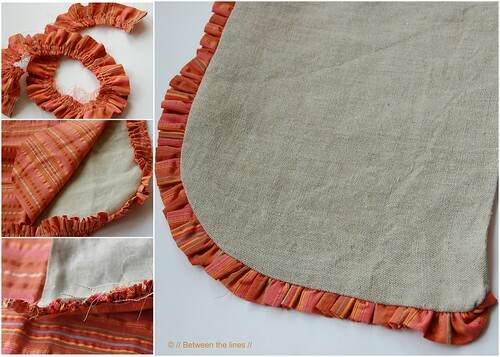 Ruffles: Fold the strip in two and iron flat. 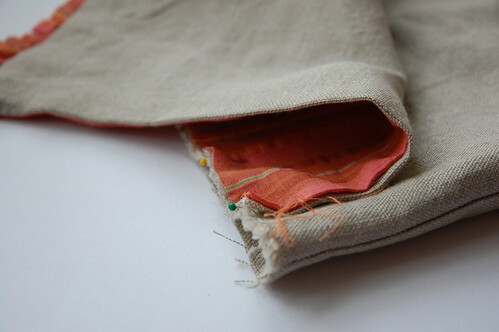 Next, on your sewing machine sew two parallel seams in a not too small stitch. Knot the four thread ends at one end to secure. At the other end take the two upper threads and start pulling on them, while pushing the fabric down. Your fabric will start ruffling. Keep going until you've reached the desired length, being the length of the curved side of the flap. 2c. Pin the ruffles to the outer fabric, such that the ruffles face inward (see picture). Secure by stitching them together really close to the side. 3a. 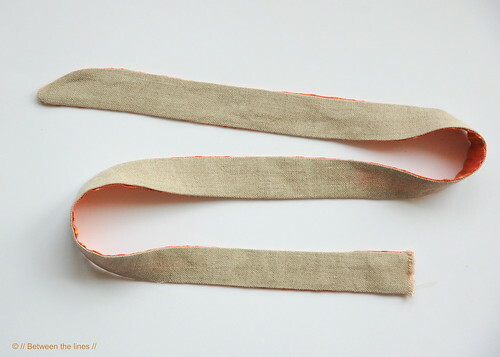 Put the two strips you cut for the loop on top of each other right sides facing and stitch together. Next, turn inside out and press flat. 3b. Do the same with the strips you cut for the strap. Note: As I wanted the strip to match with the rounded flap I cut a slight curve at one end. 4a. Pin the flap to the outer bag right sides facing while making sure to have it perfectly in the middle of the back of your bag. 4b. Fold the strip for the loop in two and pin to the left side of the bag, right sides facing and having the loop face downwards (it will face up once the bag is turned in the last step). 4c. Pin the strap to the bag at the opposite side, right sides facing. 4d. 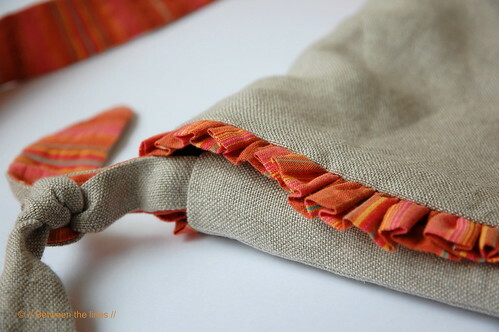 Secure everything, by stitching close to the sides. 4e. 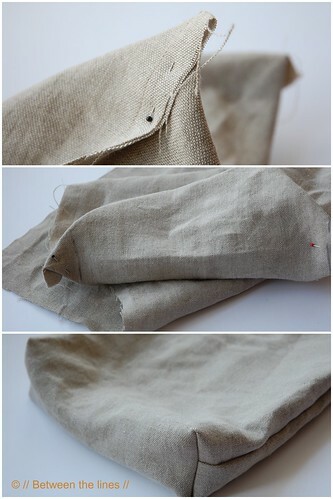 Pin the lining to the outer bag, right sides facing, and keeping the flap, the loop and the strap sandwiched inside. Stitch closed, about 1cm from the edge. 4f. Turn the bag inside out, through the opening you left in the lining. Press all seams flat. 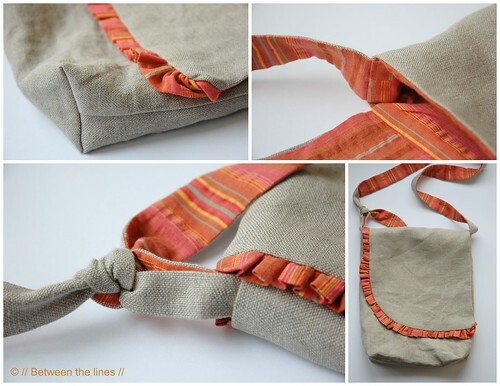 Close the gap in the lining, pull the strap through the loop and tie a knot at the desired length... and done! I hope I made myself clear, if not just let me know!